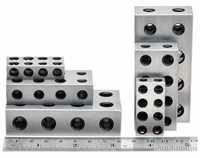 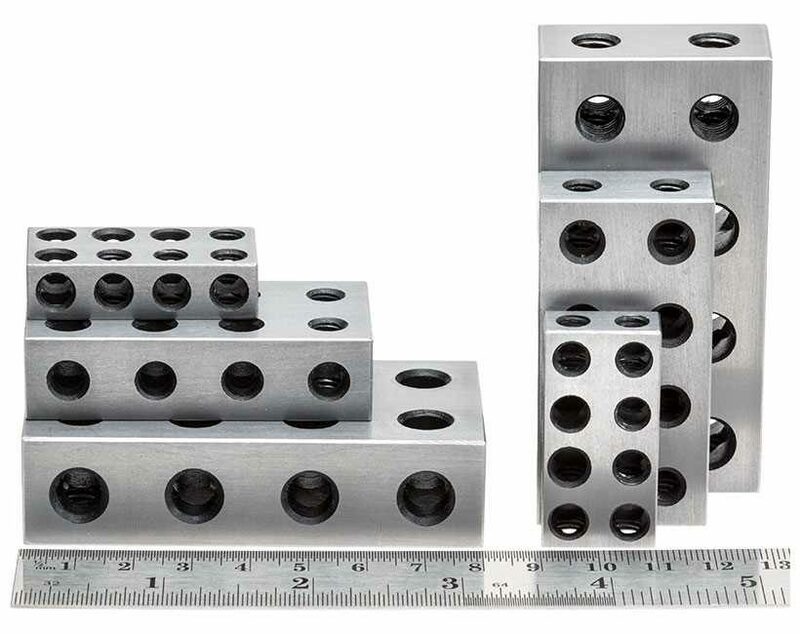 Stevenson's Metric Blocks - now available in three sizes! Toughened and precision ground steel packing blocks with 8 TAPPED and 8 CLEARANCE holes allowing two or more blocks to be connected together in various configurations such as angle blocks, tee blocks, or used as a fixture to hold small parts for machining. 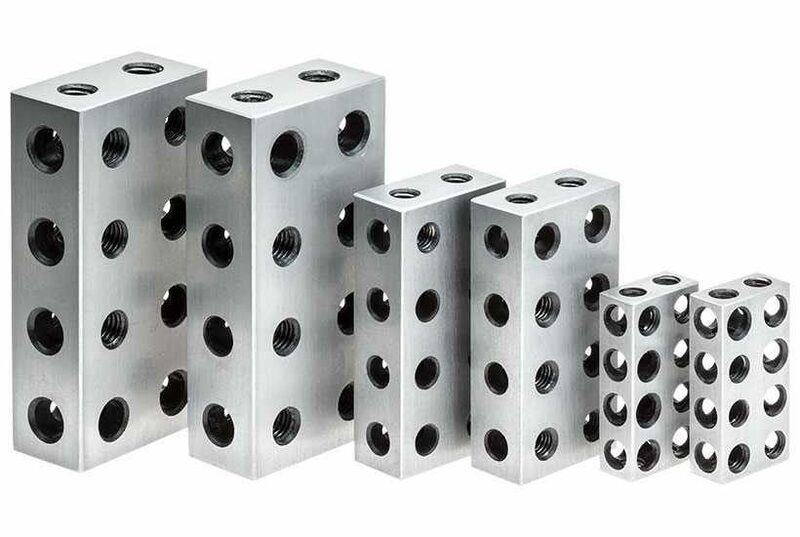 Ideal when machining more than one part that has to move between machines or operations, just load a new block with part attached to keep reference between the operations. 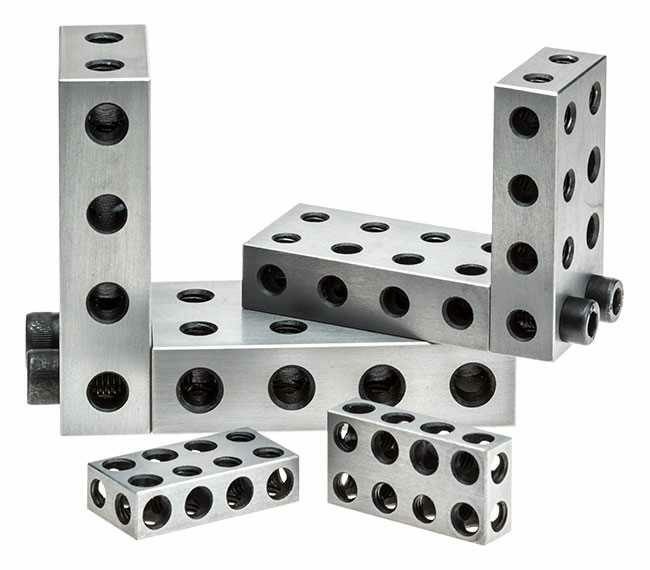 Unlike most common 1-2-3 blocks which do not fasten together, these are smaller, more suitable for small work holding and these blocks do actually fasten together. 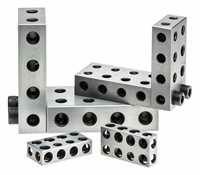 Can be used singly, as a pair or more to suit application.